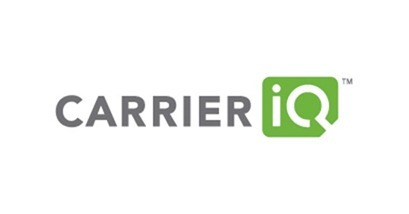 Been following all the recent Carrier IQ controversy? You know, how this one app logs texts, key taps, calls, emails etc. without taking consent from the user? Well, there is now an easy method available to check if Carrier IQ is installed on your phone. Details after the jump! The news comes from The Verge – a popular consumer electronics blog – in the form of a post in which they discuss the whole Carrier IQ issue, the tool and results of them running the app on one of their own phones. Logging Checker has been developed by Trevor TrevE Eckhart, the same person who actually discovered Carrier IQ’s fishy activities in the first place. As the name implies, it checks logging activity on your phone and lets you know where the logging data is going to. Besides checking Carrier IQ logs, it can look for Google and HTC Usage logs, Dropbox logs etc. while allowing you to check app usage logs in a UI as well as giving you some pretty strong internet security features (like enabling HTTPS wherever possible and more). This app has started to turn into a full security suite. It can be used to verify what logging is being done on your phone and where data is going to. It will assist you in manually removing parts you do not running (see post#1), or you can go pro for automatic everything (and support me). 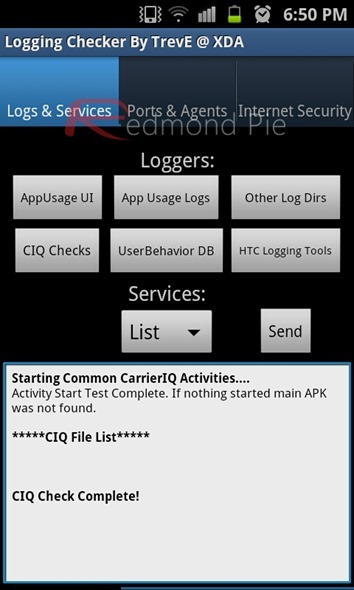 We’ve tested the app on a Samsung Galaxy S II (International version) rooted on Android 2.3.3 Gingerbread and, at least according to the app itself, Carrier IQ is not installed on our device. Once launched, you have to tap on CIQ Checks and then read the scrolling text at the bottom which will let you know if it found Carrier IQ activity or not. The app is available in two versions: free and paid. The paid version not only checks for Carrier IQ activity, but can also assist you in removing it. To get it, you’ll need to install the free version first (from the link at the end) and then purchase a pro key from Android Market for $0.99. If you’re interested, the app can be download in the form of an APK from the bottom of official thread page whose link has been embedded below. Before installing, please ensure that your phone is rooted and that Unknown sources is enabled from Settings > Applications.